The rotor arms working pressure are adjusted outside of the silo and can be adapted to different materials. The arms goes into standby mode when they are not needed – low energy consumption. All moving parts are very robust – the arms have no hooks that can come loose and go with the material into next machine. Low output = low power = low wear = low maintenance. Flat bottom provides effective volume. Saxwerk original hydraulic rotor is designed for round silos up to Ø 7000 mm. Design and layout vary depending on the material, diameter and output capacity. The rotational movement is accomplished with mechanical drive and the speed is approximately 0.5 to 3.0 rpm. The rotor digging arms are in the start phase without pressure. The reason is to keep the starting moment as low as possible. After about 20-30 seconds from the start, the hydraulic unit is connected and with help of a pressure relief valve, the operating pressure is normally set at 30-50 bar. The rotor arms digs out from the center of the silo towards the silo wall and the loosened material is moved down through a chute to the discharge screw. If the pressure of the hydraulic arms are bigger than the set working pressure, then the arms folds away with the help of the pressure relief valve. When the working pressure has become normal, the digging arms starts working again. Saxwerk original hydraulic rotor can be built into the silo from the diameter of 1500-7000 mm. 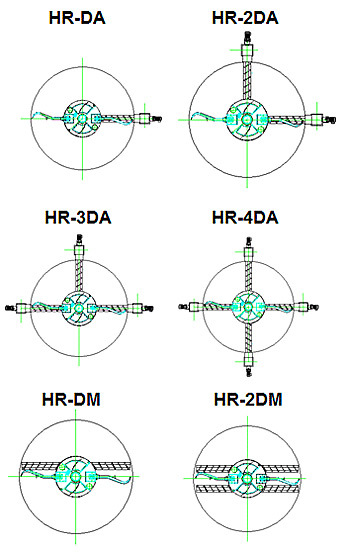 The hydraulic rotor can also be adapted to various diameters for installation in existing silos etc. This, for example to overcome the existing problems such as the bridging in silos. 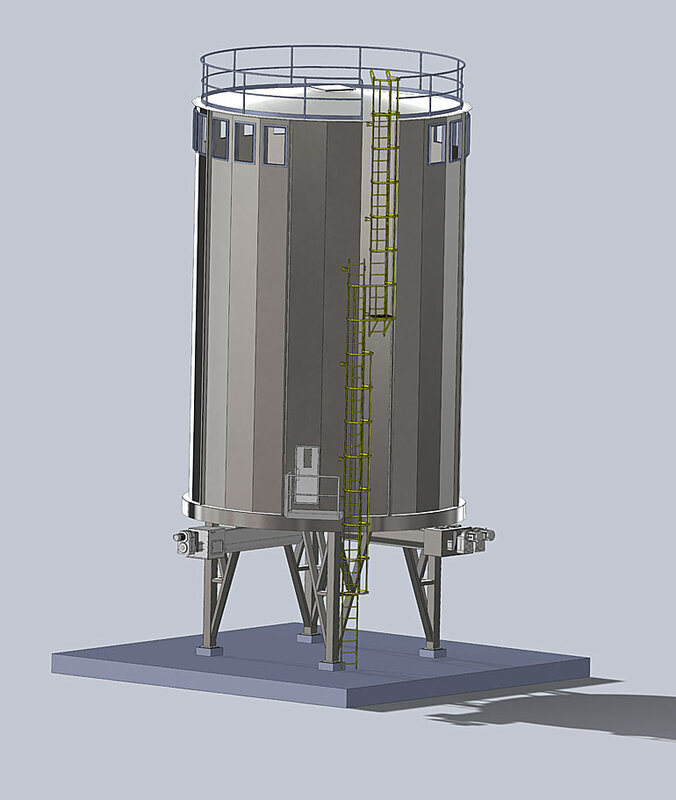 The silos can be made of steel, concrete or plastic.